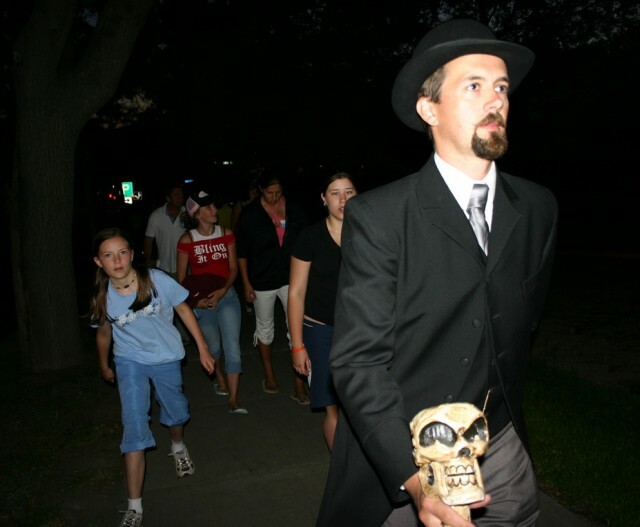 The Greater Vernon Museum and Archives is pleased to announce that the Ghost Tours of Vernon are back for another spine tingling summer of ghastly tales and haunted houses. From July 8th and running every Sunday, Monday, Tuesday and Wednesday night at 9:00 PM until August the 8th this walking/storytelling tour has been enjoyed by locals and tourists alike for the past eight years. “It is hard to believe that this will be our ninth year of holding the tours,” says creator and host Mr. Gabriel David Sumegi Newman the 2nd. 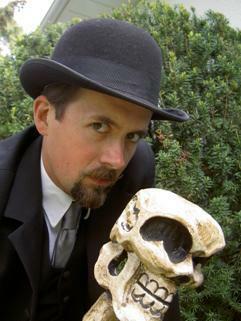 Newman, a professional storyteller and performer, created the ghost tours as a way of combining the art of storytelling with local history. “You come for the ghosts, which there are many of, but you leave with a new understanding and appreciation for the history of the region,” says Newman. Tours leave at 9:00pm from the steps of the Vernon Museum every Sunday, Monday, Tuesday and Wednesday from July 8th until August 8th. It is an outdoor walking tour and runs rain or shine so dress appropriately. Ticket price is $10 for those over the age of 12 and $5 for those 12 and under (cash only). No reservations are necessary unless you want to book a private tour for 20 or more. I am a member of a social group. I am planning Octobers schedule but cannot find a date for you Halloween tour. Will you be doing the tour and if so when? i’m a W.L Seaton student and i am doing a project about Ghosts. if you have any type of experience, i would like to hear about it and if you can also tell me if it happend in the evening, afternoon or morning. if you were alone or not, the location of the incident and what way did you handel the situation?